BAGLUNG, July 13: Locals of Baglung bazaar at the district headquarters are facing severe drinking water shortage for the past few days as monsoon-induced landslides destroyed water supply lines, depriving access to water to as many as 60,000 locals. With this, the already chronic water shortage has increased during the wet season. “Our taps have remained without water since the past week. We are forced buy jar water,” said Suraj Pariyar, a local of Baglung bazaar. “Let alone drinking water, we are compelled to purchase water even for cleaning toilet and bathing. We can't keep on with this way of living as the expenses are really high here,” he added. In Baglung, a 20-liter jar of water costs Rs 70. With the complete halt in supply of drinking water, both small and big restaurants and hotels are buying water from tankers for their usage. According to the locals, water supply has been completely halted after landslides washed away water supply pipes since last Thursday. 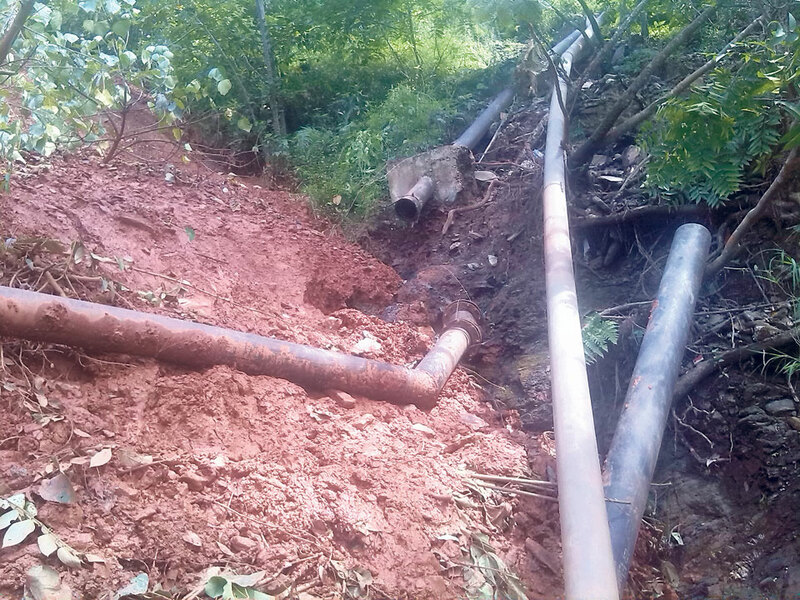 The landslides had destroyed pipes at Reshkhola and Boksey Gaira of Baglung Municipaliyt-3, according to Himal Sharma, manager of Municipal Drinking Water and Cleanliness Consumer Committee, Baglung. “The place where landslides hit is currently risky and we cannot immediately repair the pipes there. But we are doing our best to ease the drinking water supply,” he informed, adding that it might take another week to repair the pipes. According to Sharma, they will repair pipes at Reskhola after the landslides stop. “This will help to restore the drinking water supply partially. On the other hand, 400 meters long new pipes can be installed in Boksey Gaira, which can take a week,” said Sharma.